Bioidentical hormone replacement therapy (BHRT) can be delivered in many forms. There are creams, gels and injections, but popular culture and our busy lifestyles have demanded another option, one that frees men and women from the hassles of daily dosing, optimizes hormone levels and minimizes side effects. This treatment solution is known as pellet therapy and though it may seem like a novel concept, it’s actually been around as long as bioidentical hormone therapy itself. Pellet therapy dates back to the 1930s—but only rose to popularity in recent years as on-the-go lifestyles have increased demand. 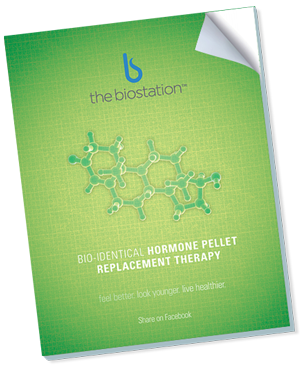 Discover why pellet therapy is a preferred treatment option for many men and women seeking bioidentical hormone therapy.